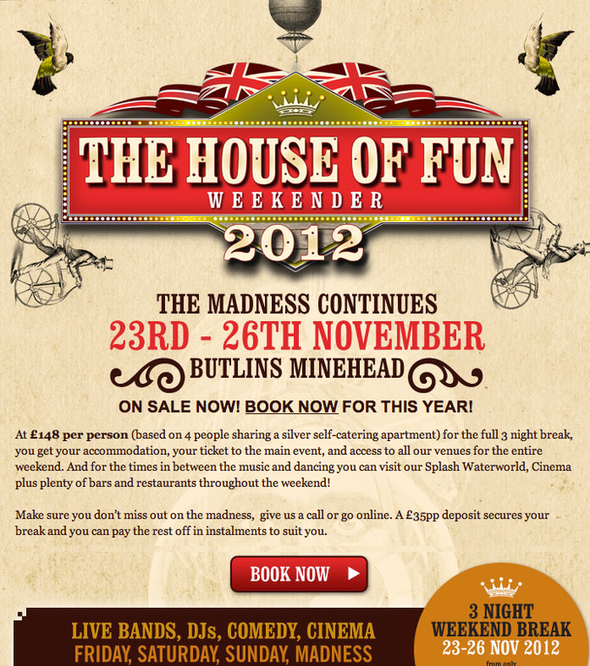 Now a staple part of the winter music scene the Madness curated festival, The House Of Fun Weekender, will take place at Butlins Minehead from the 23rd – 26th November 2012. Last year’s House of Fun saw Madness play two live sets including a performance premiering their much anticipated new album. The forthcoming album, a follow up to the critically acclaimed ‘The Liberty Of Norton Folgate’, will be released later this year. 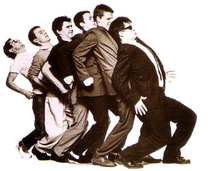 Last year Madness booked an eclectic line up that included Beardy Man, Norman Jay, Paul Heaton, Maverick Sabre, Man Like Me, Andrew Weatherall, The Cuban Brothers, Jerry Dammers, Dan Le Sac and Scroobias Pip and many more.